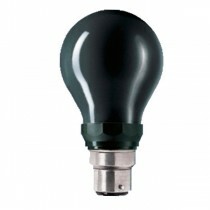 Due to the light sensitive material in a darkroom, these safelight bulbs are designed to transmit light outside of the colour sensitivity range of the photographic material. This means these bulbs do not need an additional filter to protect your photo paper. In addition to these darkroom light bulbs we also stock a range of R10 safe light red fluorescent tubes. If you are unsure of the correct bulb then please check with the paper manufacturer who will specify the colour of bulb required and the distance from print. 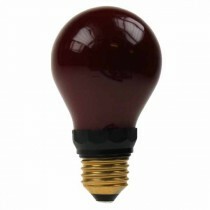 We stock darkroom light bulbs with standard screw or bayoney caps.